Deputy Speaker and new Member of Parliament for Gagaemauga No. 3, Nafoitoa Talaimanu Keti, sounded the alarm bells yesterday, cautioning the government that Samoa cannot rely on foreign aid forever. “Foreign aid is great and we are extremely grateful but we have to remember that there is coming a time when that aid will stop,” he said. 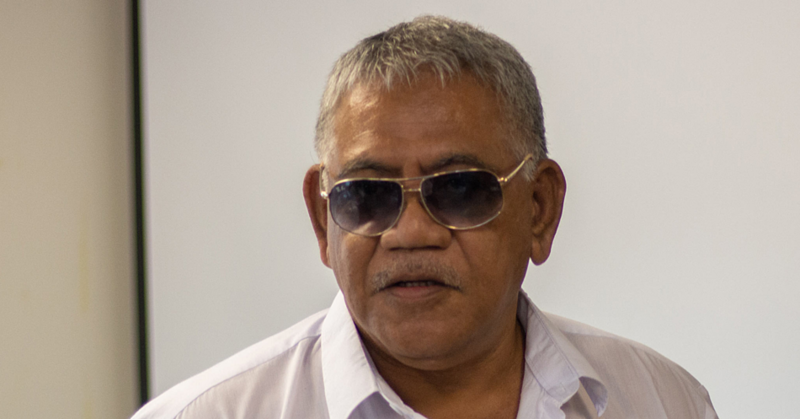 To do that, Nafoi said there is a need to reduce borrowing and encourage people to play their part in the development of Samoa. But the Member of Parliament made the comments in his maiden address at Tuana’imato yesterday. Parliament convened on Wednesday to discuss the Minister of Finance, Sili Sala Epa’s $894million budget which places emphasis on responsibility for the government and members of the public. In addressing the House, the Deputy Speaker praised Minister Sili’s decision to focus on consolidating public finances, and to keep expenditure under control. Away from public finances, Nafoi invited the Minister of Natural Resources Environment, Fiame Naomi Mata’afa to visit his constituency so she could see first hand the impact of sea level rise on their beaches. “At Matautu, it is no secret that we have so many hotel developments and major beach fale operations out there,” he said. “I grew up in the area and I was always proud of the fact that we had beautiful sandy beaches. This is what attracts tourists to Samoa. Nafoi said his constituency relies heavily on tourism dollars but climate change; especially coastal erosion is a major challenge that warrants urgent intervention from the government. On the issue of law enforcement, the former Police officer called for the revival of what he referred to as a mobile Court. He said a similar system existed in the past where criminals were trialed within their villages. There is an element of fear on the part of criminals, which deter them from further offending that such trials bring about, the Member of Parliament said. The Deputy Speaker also sought help from the Minister of Works, Transport and Infrastructure, Papali’i Niko Lee Hang, for access roads in his constituency. Without tar sealed access roads, Nafoi said his constituents would struggle to get to their plantations, which they depend upon, for their daily incomes. But Nafoi was not the only Member of Parliament calling on the government to improve access roads. At Falealili East, another new Member of Parliament, Fuimaono Te’o Samuelu made a similar request. At Salani, Fuimaono noted that such roads are a critical part of the infrastructure required to drive tourism. Seawalls, he added, were sorely needed at Saletele, Sapoe and Utulaelae to mitigate the impact of sea level rising. In terms of health, Fuimaono asked for a Health Centre to be set up to deal with issues like diabetes and the monitoring of N.C.Ds, to prevent overcrowding at the Poutasi District Hospital. Lastly, Fuimaono asked for a new rugby field to be established at Salani. Fuimaono reminded that Falealili is the home of the Manu Samoa and the fact that the team has been struggling lately points to absence of players from their constituency. Reminding the Minister of Education, Sports and Culture, Loau Keneti Sio, that he had been appointed for a purpose, Fuimaono said there is an urgent need to put in place the right infrastructure to develop rugby at the grassroots level at Falealili. 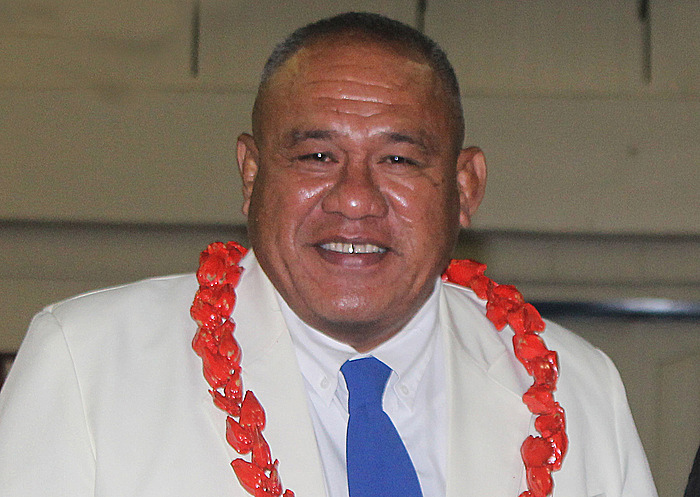 He added that the government should look at promoting other sports as well including field events such as shot put, discuss and strength-related sports where Samoan athletes are known to excel.